-The Canada Revenue Agency (CRA) announced new rules to limit the ability for business owners to split or “sprinkle” income with family members who aren’t considered active in the business. 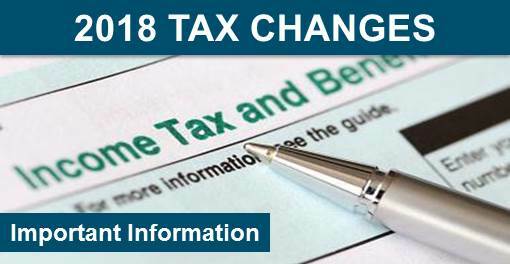 Thanks to Ottawa’s changes to income-splitting legislation for private corporations that took effect Jan. 1. -Budget 2018 included a supplemental parental sharing benefit, which will provide an additional 5 WEEKS of Benefits when Both parents agree to share parental leave. – Also working while on claim rules now apply to sickness and maternity benefits. While on maternity leave, some people return to work before their EI benefits end, which requires an adjustment in how much they receive in benefits. “Claimants receive 55% of their weekly salaries as their EI benefits. – More medical expenses to claim including the cost for caring for a service animal. – Higher rates for accelerated capital cost allowance CCA which will have an impact on Canadian business owners. “proposed changes that will allow businesses to immediately write off the cost of machinery and equipment used for the manufacturing or processing of goods; and immediately write off the full cost of specified clean energy equipment; and rely upon an accelerated investment incentive. – Elimination of Home Relocation Loan. ” basically an employee was entitled to claim a deduction to offset tax from Home Relocation loan, but now is cancelled. – Pension splitting for veterans retirement income security benefits. “Only one joint election can be made for a tax year. If both you and your spouse or common-law partner have eligible pension income, you will have to decide who will act as the transferring spouse and elect to allocate part of their eligible pension income to his or her spouse or common-law partner. Canadians living in rural areas receive 10% more than those in cities because they likely use more energy.